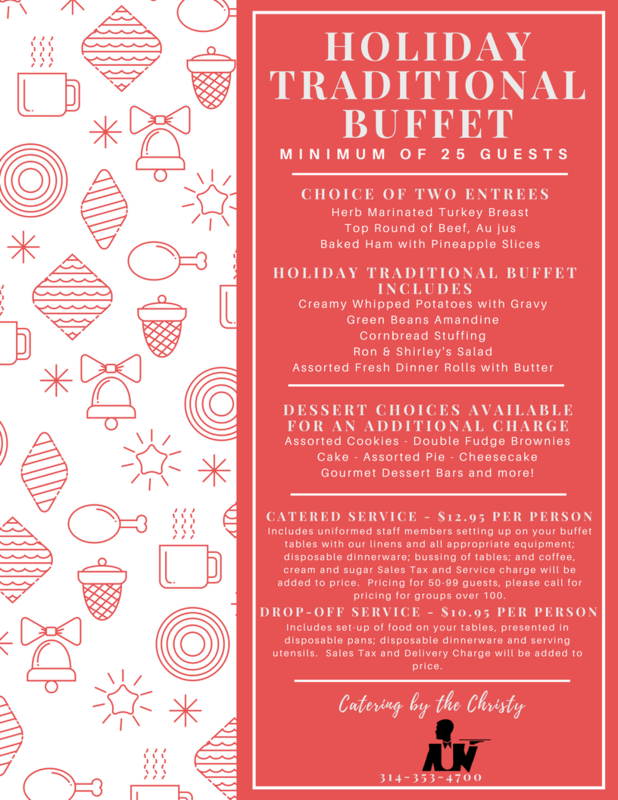 Starting at just $10.95 per person for drop-off service and $12.95 per person for a fully catered event, our holiday value menus can accommodate any budget. 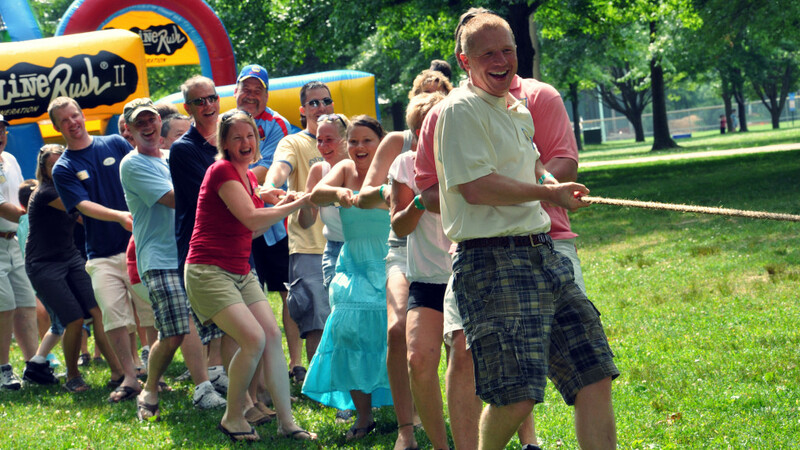 Believe it or not, now is the perfect time to kick off this year’s Company Picnic planning! Planning a company picnic on your own can be a time-consuming task. To keep you from feeling overwhelmed, here is our guide to start planning your picnic with help from us! At Picnic People, we can help you plan everything from the big stuff down to the tiniest of details. Every great picnic starts with the perfect location! Lucky for you, St. Louis is home to many beautiful parks that are ideal for company picnics. The popular dates and sites always go fast, which can make choosing the best park for your group become a chore. When you plan with Picnic People, all you need to do is fill out our Park Request Form and we will get the ball rolling for you! Our expertise in picnicking will help us find the best location so you don’t have to. Click here, complete the Park Request Form, and then return it to us. It’s that easy! Once we’ve set a tentative date, time, and location for your event, we can begin to delve deeper into the vision for your picnic! We will send you a detailed proposal, including many options for BBQ menus, beverages, fun foods, activities and entertainment, and so much more. Along with your proposal, you will also receive a cost analysis to help you stay on budget for your event. Our Picnic People staff is always available to discuss these options in detail and help you decide which choices will make your event a success. After you’ve selected the main components for your picnic, you can sit back and relax! We will coordinate your chosen menu, rentals, entertainment, and other details, so you won’t need to worry about a thing. In the meantime, we’ll send you an office sign to help promote the event, guide you through determining your final guest count, and answer any questions, comments, or concerns you may have before the picnic. No matter how big or small your picnic plans are, we are never more than a phone call or email away! When picnic day finally arrives, you’ll be relieved to know you can enjoy your day trusting us to take care of the specifics. An experienced Event Manager will arrive ahead of time to set-up and prepare the location for your arrival and our Picnic People staff will keep your day running smooth from beginning to end. At the end of the day, we’ll breakdown your fully catered event and activities too. When you work with Picnic People, you get a flexible, custom picnic caterer and adventurous, outside-the-box planners that will make you look great! Ready to get started planning your upcoming picnic? We would love to help! To contact us, fill out this form and send us a message or give us a call today at 314-353-4700! Winter is officially in full-swing and it’s the most wonderful time to try out a simple new treat! This ultra-cool, rich and creamy, Frozen Hot Chocolate recipe is to-die for. You’ll love the cocoa flavor paired with an unexpected frosty texture! And the best part is, you can enjoy this yummy drink any time of year. In a large blender, blend milk, ice, hot cocoa packets, chocolate and vanilla extracts together on high speed until smooth. 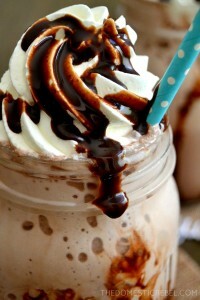 Pour into tall glasses, then garnish with fresh whipped cream and chocolate syrup. You can also drizzle your glasses with chocolate syrup before pouring into the glasses for extra pizzazz and flavor. Drink up! Fall is here! The weather is perfect, the holidays are just around the corner, and there are endless reasons to celebrate. 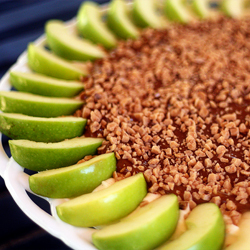 For your next Fall gathering, try this simple and oh so sweet Caramel Apple Dip. 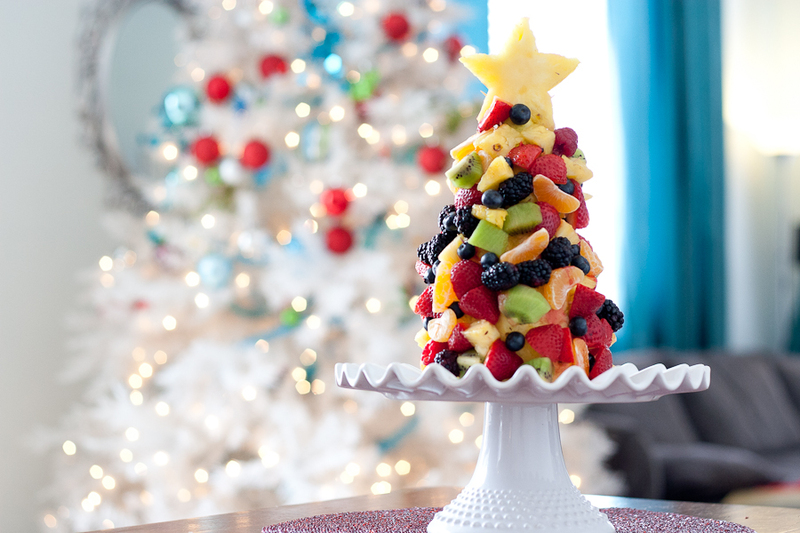 It’s the perfect addition to any get-together this season! In a medium bowl, beat together cream cheese and powdered sugar until fluffy. Spread mixture evenly onto a platter. Then, spread caramel sauce over the cream cheese layer. Sprinkle the top generously with toffee bits. Serve with thick slices of Granny Smith apples. Enjoy! There’s still plenty of time to gather and celebrate Fall. Whether it’s a personal or professional gathering you choose, our wide variety of services will make you glad the seasons are changing! 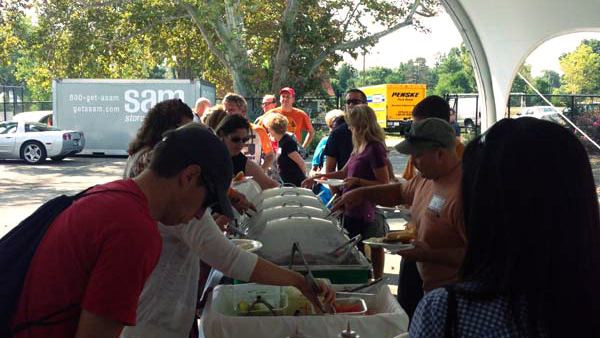 If you missed out on your chance to host a St. Louis Company Picnic this Summer, don’t worry! A Fall Festival may be the perfect corporate gathering for you. Imagine a crisp Autumn day where you can cozy up with a cup of Hot Chocolate or Apple Cider paired with one of our hot-off-the-grill menus. 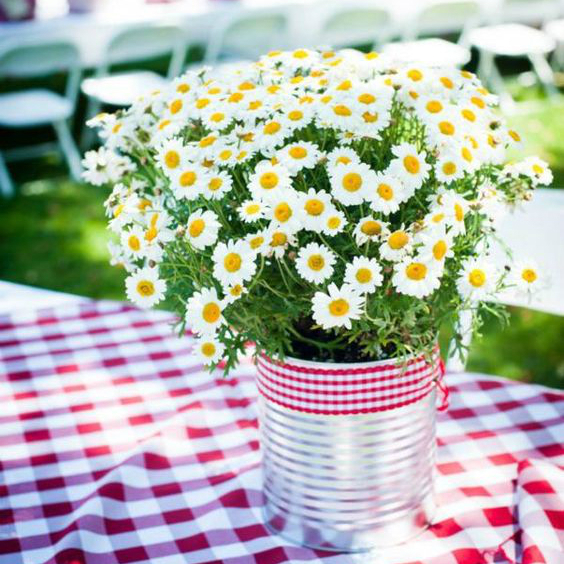 To set the tone our Picnic Pro’s will garnish your site with cheerful décor like hay bales, scarecrows, mums, and more! You can even add exciting activities like, pumpkin decorating or a petting zoo, that will keep your guests entertained for hours. Ready for some tasty barbeque, ice cold beverages, Baggo, Blongo and more? That means you’re ready for an awesome tailgate party planned by Picnic People St. Louis! 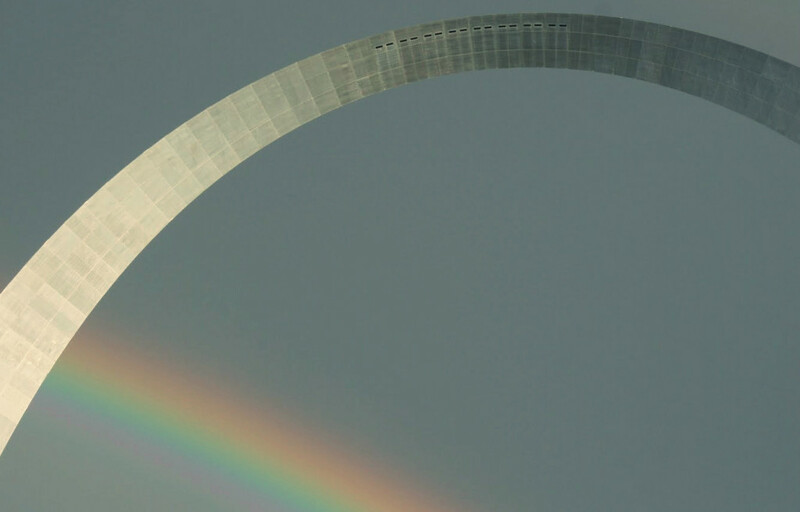 St. Louis is home to many great stadiums, arenas and of course, sports teams. Show your team spirit by planning with our Picnic Pro’s and you’ll score big with our crowd-pleasing menus and helpful tips. We’ll make sure your tailgate party goes off without a hitch! There’s always something to be grateful for, especially in the Fall! Whether you’re planning a spooky Halloween luncheon with towers of pumpkins and sweet treats, or a Thanksgiving feast with traditional holiday fare, Picnic People St. Louis has a menu to fit your taste and budget. We can cater or deliver right to your location or just about anywhere. 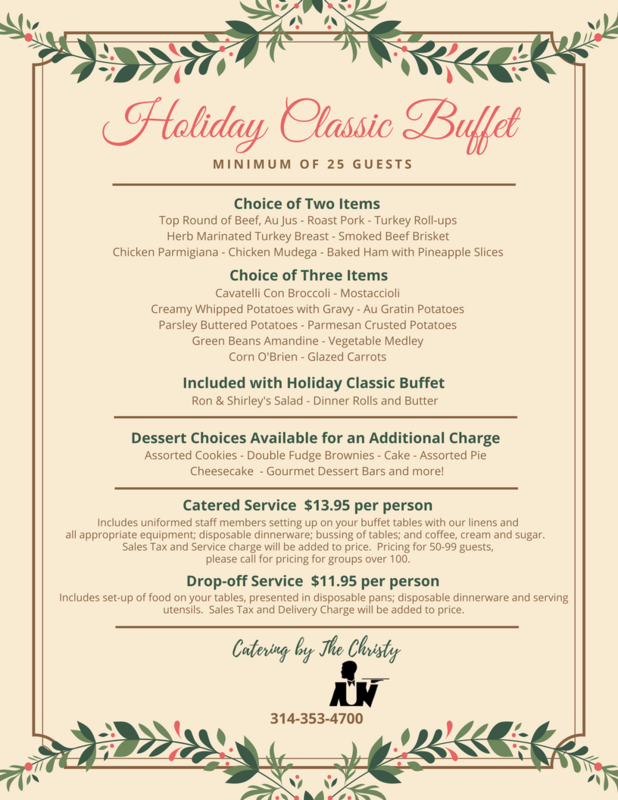 Show your friends, family, or employees your gratitude this season with a well-prepared catered event! It’s not too late to start planning your Fall event with Picnic People St. Louis. To contact us, fill out this form and send us a message or give us a call today at 314-353-4700! No matter what type of event you’re planning, choosing a theme will set the tone for the occasion. Do you want it to be laid-back and casual? Competitive and ready for action? Formal and ceremonious? Your theme is meant to drive decisions about venues, menu selections, music and entertainment, and more. Most of all, a theme will assist you in making your upcoming event more effective and of course, more fun! Here are six tried-and-true themes that we recommend adding to your next event with Picnic People St. Louis. Your guests will be transported back to simpler times when you add a traditional Country Faire theme to your event. 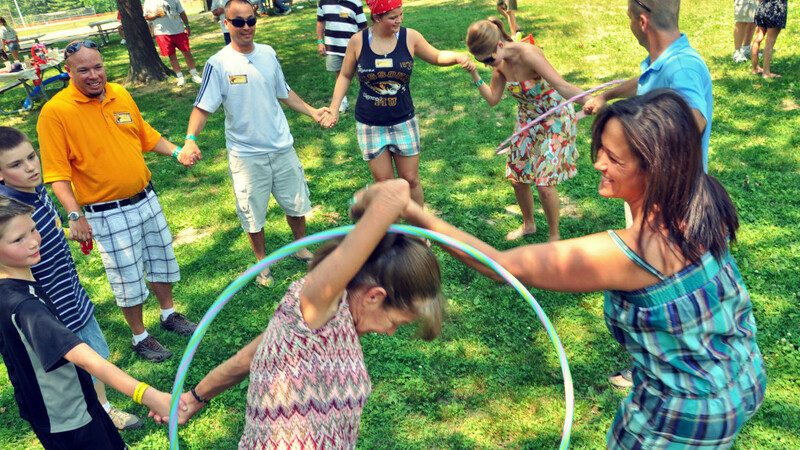 Hay bales, wagon wheels, and windsocks will set the scene, while flavorsome fair food and creative carnival games will add entertainment to the celebration. If you want to make the day extra interactive, bringing a corral of farm animals is an unforgettable way to do so. Three cheers for a Red-White-and-Blue picnic! Pair our favored All-American Menu with patriotic décor and customary family relays and races and your guests will have a Great American time. The Great American theme is perfect for a Memorial Day picnic, tailgating before a Rams football game or to kick off a St. Louis Cardinals game! Aloha! Bring Honolulu fun to your next St. Louis company picnic with a Paradise Island theme inspired by our delicious Kamaaina Luau menu. Our Pineapple Teriyaki Glazed Chicken complemented by colorful flower leis, seashells, and grass table skirts will make your picnic feel like a day of paradise. Step up the fun by starting a Hawaiian Shirt contest, where your guests can show off their most flamboyant island wear. May the best team win with this lively theme perfect for a family or company with a competitive streak! 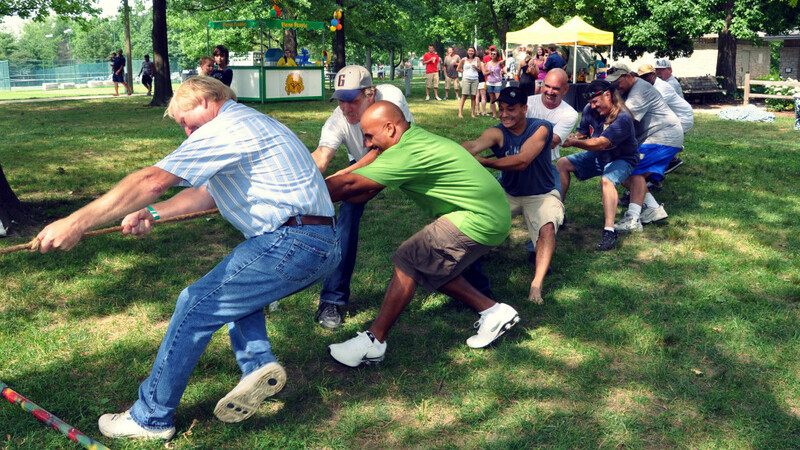 Choose one of our healthy menus to fuel up, then participate in Sports of All Sorts, like tug-of-war, lawn games, or get your adrenaline pumping on an inflatable obstacle course. An annual softball or kickball tournament is an extraordinary way to unite groups of people while also increasing trust and friendship. Yee-haw! Your guests will be doing the boot scootin’ boogie when you invite them to a Wild West Round-up! Our Smoked Brisket and Texas Style Grilled Chicken from the Longhorn BBQ menu will have you hollerin’ for more and bandana-style linens, hay bales, and cowboy hats will delight your guests. We’ll even have our staff dress up like cowpoke and outlaws to make you feel like the best in the West! If you can dream it, we can theme it! If you’re ready to get started planning your next outdoor event with Picnic People St. Louis, fill out our contact form or call us today at 314-353-4700. Our Picnic Pros spend anywhere from days and months to sometimes even a whole year planning each aspect of your event. They are able to help you with nearly every detail, from picking the venue and customizing your menu to marketing the occasion at your office. The one thing out of our control? That dreaded sinking feeling our picnickers get when they realize the weather may jeopardize our best laid plans. 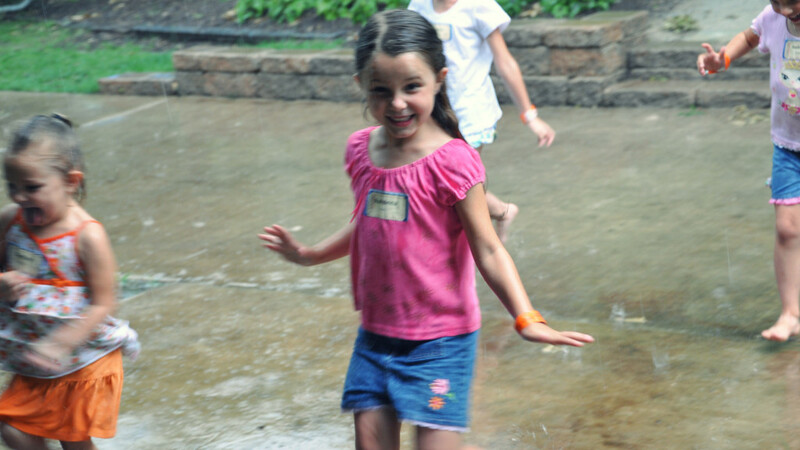 Nevertheless, don’t let the risk of bad weather keep you from scheduling an outdoor event with us. We may not be able to predict sunshine, but here are a few ways we can help you prevent dreary weather from dampening your spirit! Avoid checking the forecast too far in advance. Weather is a chaotic system, so it is impossible to predict exactly what will happen tomorrow or next week, even if you know exactly what is happening in the atmosphere right now. Meteorologists can only make an estimate of what is likely to happen, which is sometimes misleading. Your safety is a top priority to us. In the event of bad weather, some of your entertainment, like lawn games or inflatables, may become hazardous. Our Picnic Planners’ will support you throughout last minute changes by helping you choose equally enjoyable activities that can be done beneath a tent or pavilion without electricity. 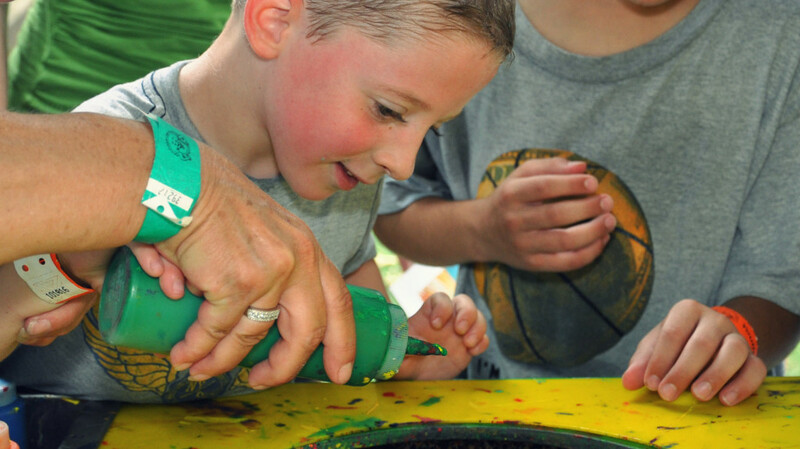 Activity Acres, Spin Art and Airbrush Tattoo Parlors are great boredom busters on a rainy day! We don’t want our clients to feel gloomy if a picnic has low attendance on a damp day. That’s why we always let you take your leftover food to go. You bring the containers to hold the food and we will pack it up for you! Leftovers from your picnic can make a memorable office luncheon. 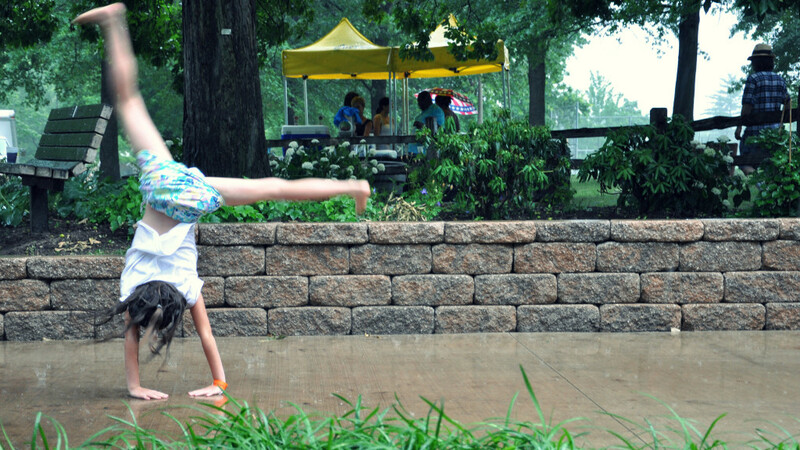 At Picnic People St. Louis, we believe the picnic must go on, rain or shine! For more information about our unstoppable picnics, fill out this form and send us a message or give us a call today at 314-353-4700! Summertime has just officially begun, but our picnic season is already in full swing! If you’ve been contemplating the idea of a corporate celebration or stuck in a rut planning your company’s next event, here are five great reasons to plan a picnic with us! Appreciated workers make great employees! 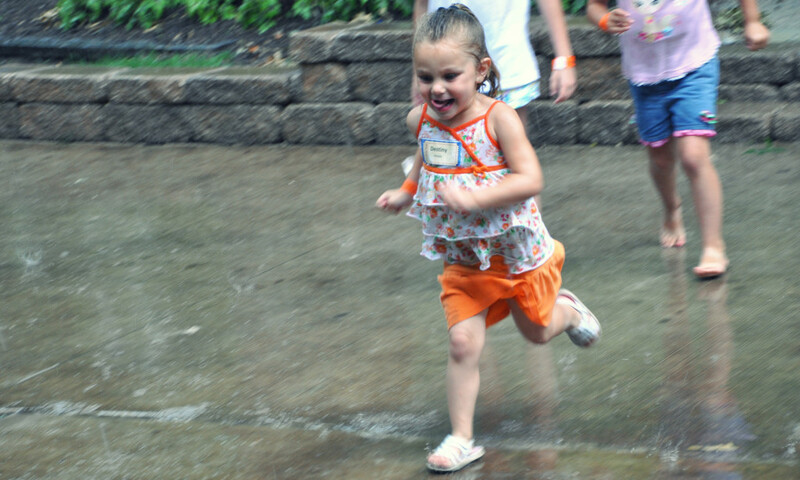 Recognize your team’s hard work by rewarding them with a day of fun in the sun. Employee appreciation plays a vital role in building good relationships between your employees and you. Expect this expression of corporate pride to attract and retain valuable employees. 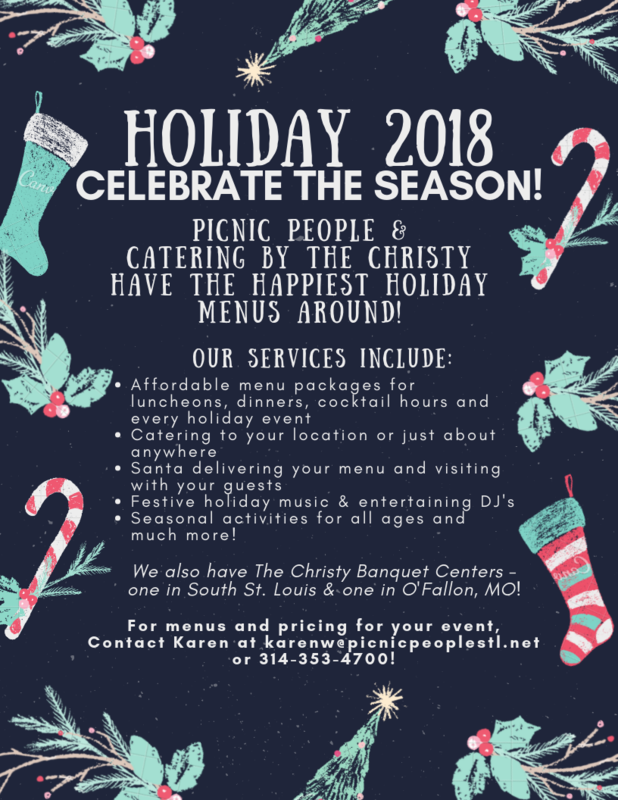 Picnic People St. Louis, along with our sister company, Catering by The Christy, were formed on a foundation of two decades of unmatched restaurant service! We create menus that add simplicity and delight to your day. Our variety of tried and true barbecue menus are sure to please everyone from meat lover’s to vegans! Click here to take a look at menus your guests will relish. Higher salaries aren’t the only way to improve productivity! A recent study showed that a 10% increase in how much workers trust their managers equals the job satisfaction impact of a 36% increase in salary. Picture employees of all ranks and departments coming together to play lawn games, bond during a sports tournament or work together during tug-of-war. Company picnics are an extraordinary way to unite groups of people while also increasing trust and friendship. We pride ourselves on your satisfaction and providing you the best value for your Picnic dollar! We specialize in planning casual events, where your guests can be at ease. These more relaxed affairs lend themselves to cost-effective décor, menus, venues, and activities. We are experienced in producing memorable events on any budget! 5. We Make It Easy for You! We know your time is valuable, that’s why as St. Louis’ only full-service picnic company we make planning a company picnic easy! With your input, we’ll take care of the menu, location search and permit handling, entertainment, décor and more. You’ll love the way our out-of-the-box planners create a custom event with your company’s unique needs in mind, but don’t worry we’ll let you take the credit! As your one-stop-shop, we make it a priority to make all of your picnic dreams become a reality. Ready to see what Picnic People St. Louis can do for you? We would love to help! To contact us, fill out this form and send us a message or give us a call today at 314-353-4700!